I guess I better get my summer crochetalong post up!!! 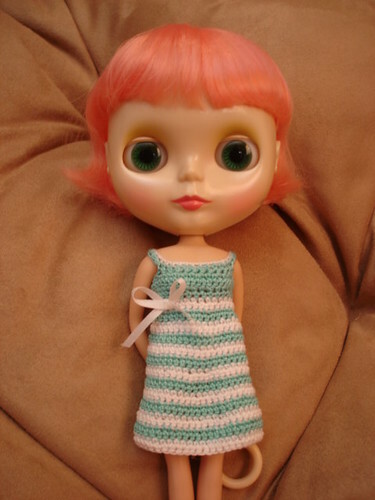 It is another item for Blythe – a sun dress! She looks lovely and summery – very pretty colours! And I say – quit trying to resist Blythe! She is so much fun!